Career progression is about taking the next step that is right for you. You could be aiming to be a manager, move to another area of our firm, or take charge of a major project. You might welcome the experience that comes from a client secondment. They are all great ways to expand your professional experience. At KPMG we put you in charge of your career and you can take advantage of our supportive culture. Discuss your prospects and preferences with your dedicated KPMG performance manager and receive practical support and advice. Use MyPD (KPMG’s global appraisal system) to set your career aspirations and performance goals. Discuss with your manager how you are going to achieve them. 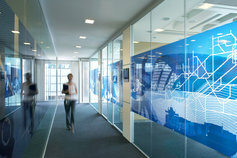 Find out about KPMG’s clients, international reach, citizenship and culture and diversity.